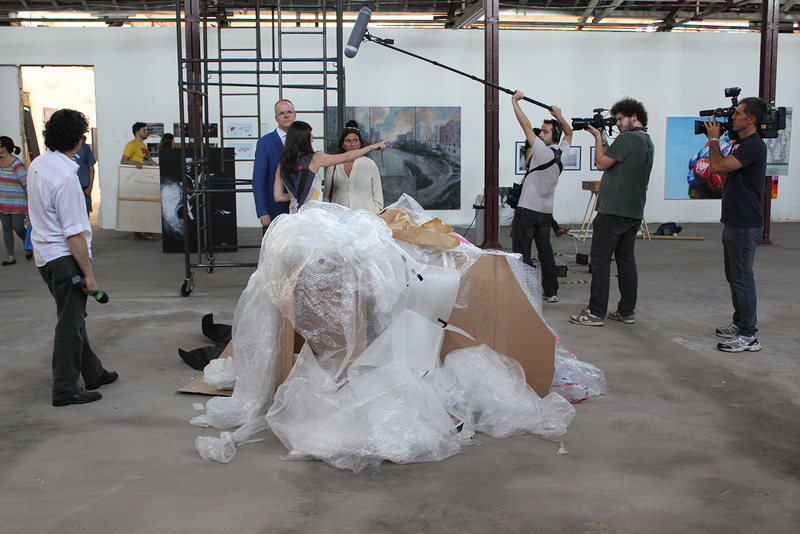 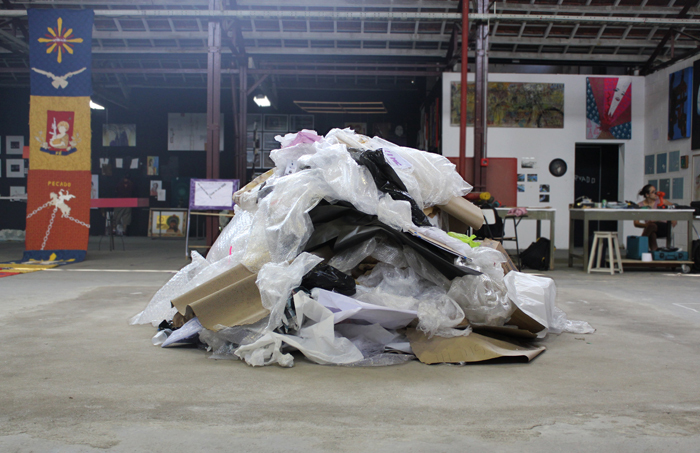 Totem is a procedural installation made with scraps of garbage produced by other artists. 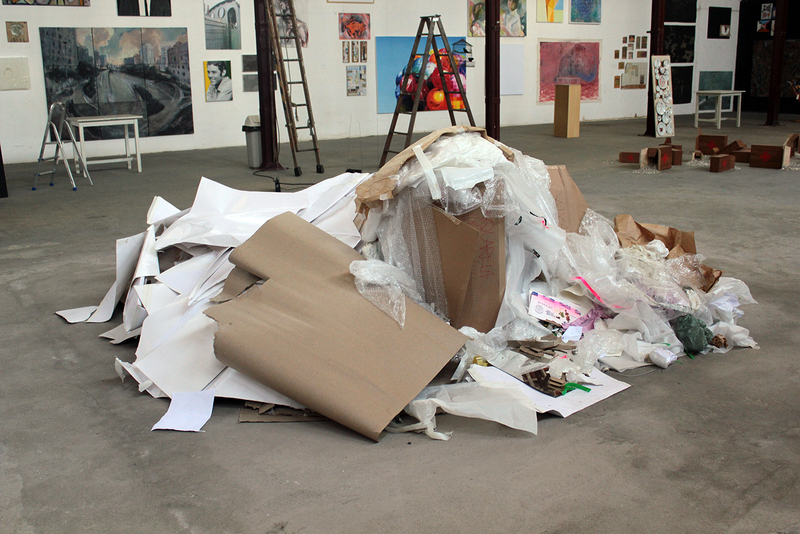 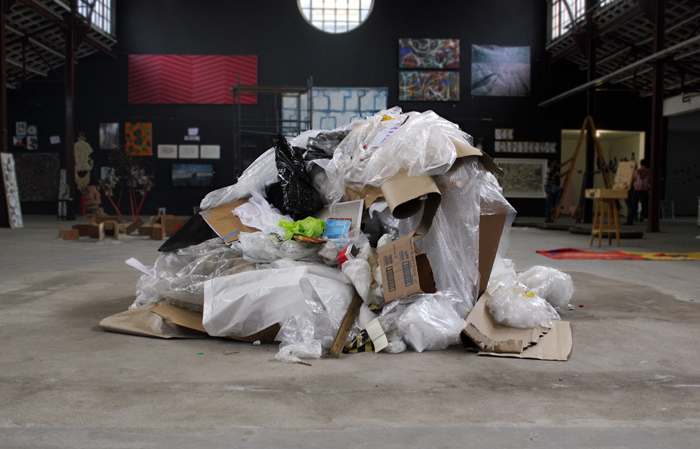 Paper, cardboard, bubble wrap, packaging, wood, metal and other production materials were collected and accumulated in the defined exhibition space. 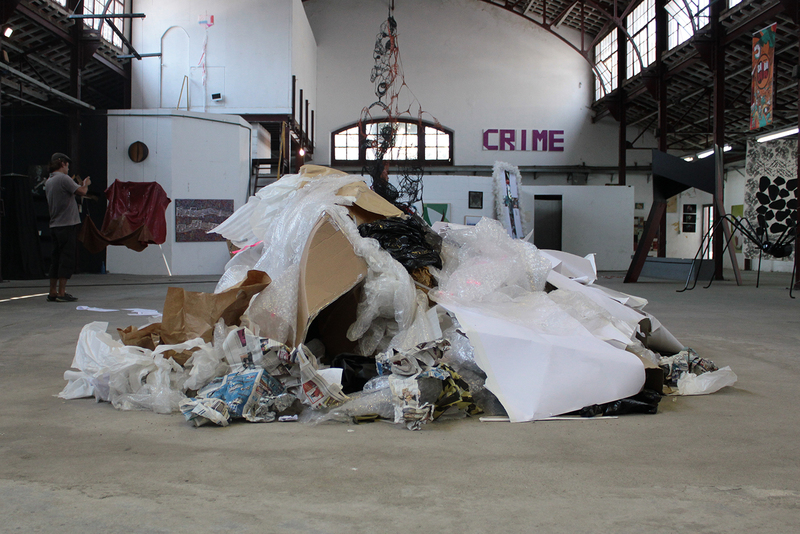 The work establishes a new type of dialogue with artistic production and its representatives.